New Peer Mentors ready to meet incoming freshmen girls. Top fow, from left: Cindy Galarza, Joan Kreamer, Cass Dalsey, Kim Bradley, Karlee Streit, Lucy Swanson, Julia Meyer, Jen Taylor, Nadine Leitner, Leslie Dugger and Nancy Davis. Bottom Row, from left: Kylie Greeno, Stephanie Randall, Maddie Stewart and Sara Grahn Nilsson. TRUCKEE, Calif. — Soroptimist International of Truckee Donner recently presented a $6,000 check to Carol Meagher, Director of the KidZone Museum in Truckee, to start the Girls in Science Program that offers girls in our community fun, informal hands-on science exploration opportunities. 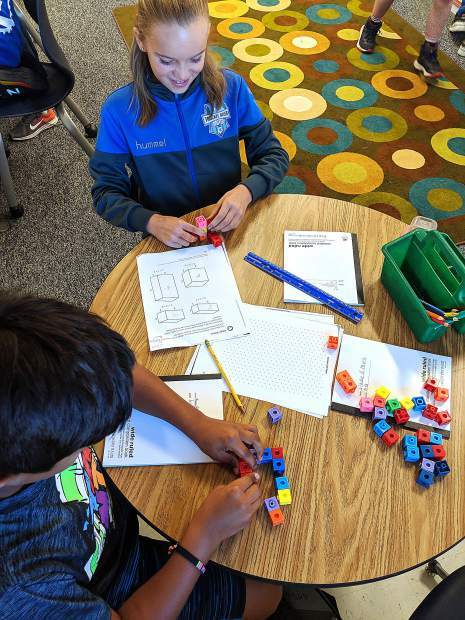 With these funds, along with grants from other institutions, KidZone will provide young girls opportunities to explore Lego Engineering, Electricity and Chemistry programs taught by women scientists and assisted by teenage girl mentors. Scholarships will be offered for all programs. For information on becoming a teen science mentor, or to learn about these programs call the museum at 530-587-5437. Research shows that girls who have not been exposed to science skills and knowledge at an early age are less likely to pursue a career in science. Research shows that girls need to develop confidence at an early age that they can thrive in the science fields. Engaging girls in science at an early age to build confidence that will continue to grow through their secondary school education is the best way to create the next generation of women leaders in science. Soroptimist Club President Leslie Dugger stated that members were enthusiastically and unanimously in favor of supporting this program. KidZone is a nonprofit children’s museum in Truckee welcoming 23,000 visits a year by local and visiting families. Visit kidzonemuseum.org to learn more about the museum or to take a Discovery Tour. 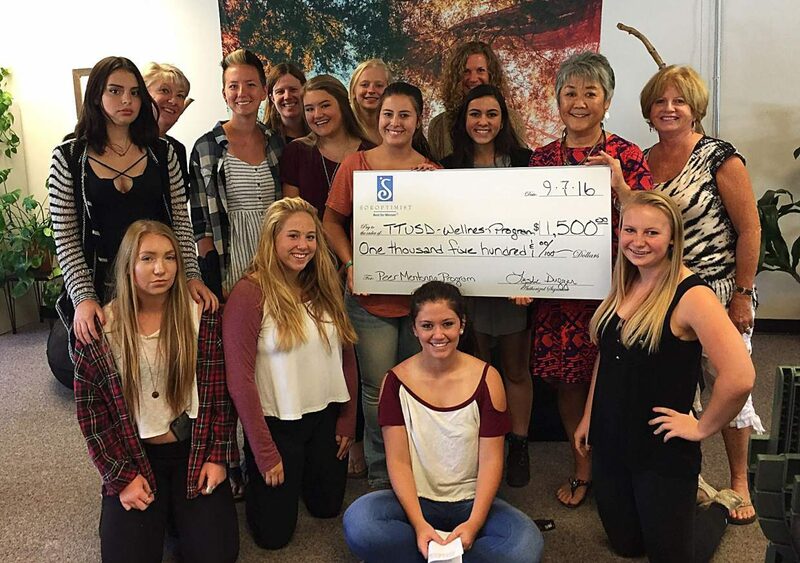 The local Soroptimist group also recently presented a $1,500 check to the Tahoe Truckee Unified School District Wellness Program for the Truckee High Peer Mentor Training. This year, 15 Truckee High girls participated on an overnight Peer Mentor Training at Project Discovery Ropes Course on Sept. 10-11. The girls engaged in a team-building ropes course workshop and learned important Peer Mentor skills. The girls learn about themselves while developing new skills to better support their peers while inspiring them to make a positive impact at their school. The Peer Mentor Training eases the transition from middle school to high school for entering ninth grade girls. The mentors are older high school girls who are taught to help the freshmen girls feel more connected at school so that they can be more successful academically and engage in healthy behaviors. The program also offers the mentors opportunities to become leaders, advocates and agents of change in the school. The new Peer Mentors plan to use their new skills to build connections with incoming ninth graders at Truckee High School. The girls will facilitate support groups and educational workshops. They plan to have one-on-one meetings with the incoming freshmen girls and as well as offer additional support to the Alder Creek Middle School students. Dugger explained that educating young girls to help themselves, each other, and younger girls, fosters an environment of cooperation, collaboration and growth which will only become stronger as the girls reach adulthood. This article was provided by The Soroptimist International of Truckee Donner, which holds monthly club meetings the second Thursday of each month at noon at Zano’s Restaurant in Truckee. Visit sitruckeedonner.org to learn more.